I've got 2 skincare products I've been testing recently. Sloane Inc is perhaps better known as an aesthetics clinic, but they also have their own proprietary skincare line, all coded in numbers. I haven't looked into the line to see if the numbers have a specific meaning (i.e. 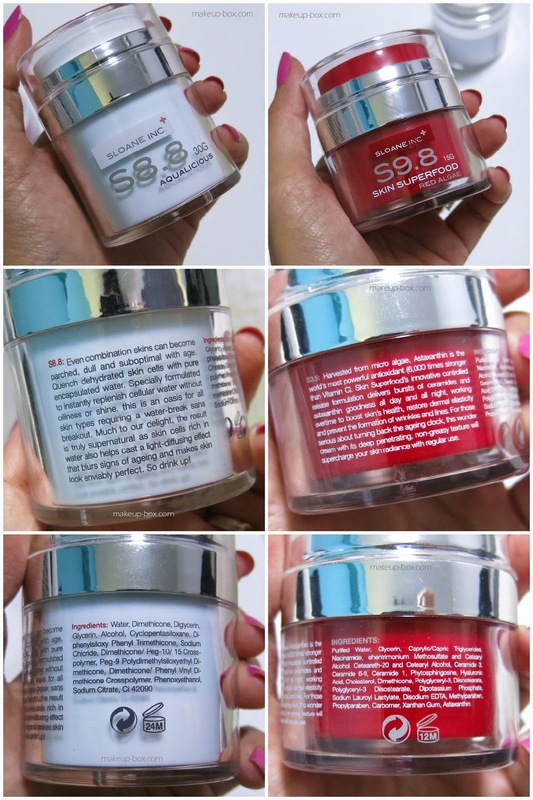 all those beginning with 6 are of a specific category, etc), but the 2 I'm going to talk about today are S9.8 Skin Superfood Red Algae, and S8.8 Aqualicious. 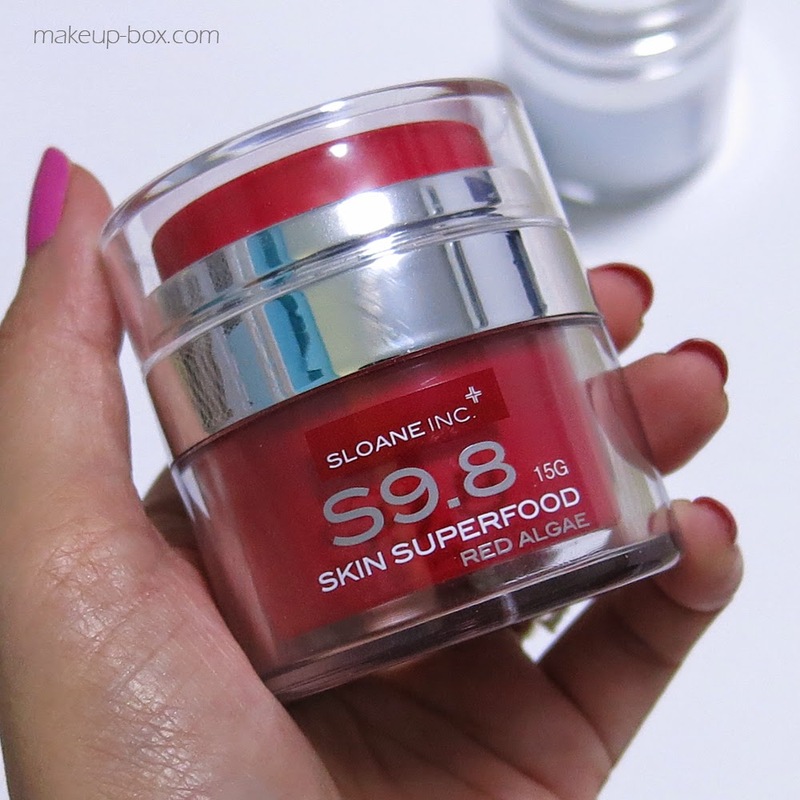 S9.8 Skin Superfood is a special nourishing gel-cream treatment which contains Astaxanthin, a super-charged antioxidant with 6000 times the strength of Vitamin C. I'm a huge believer in using antioxidants daily for anti-aging maintenance, and this product not only contains plenty, but also also ceramides, which are fantastic molecules that behave like dry oils and keep the skin smooth and supple by forming an ultra-thin and comfortable barrier on the skin surface. 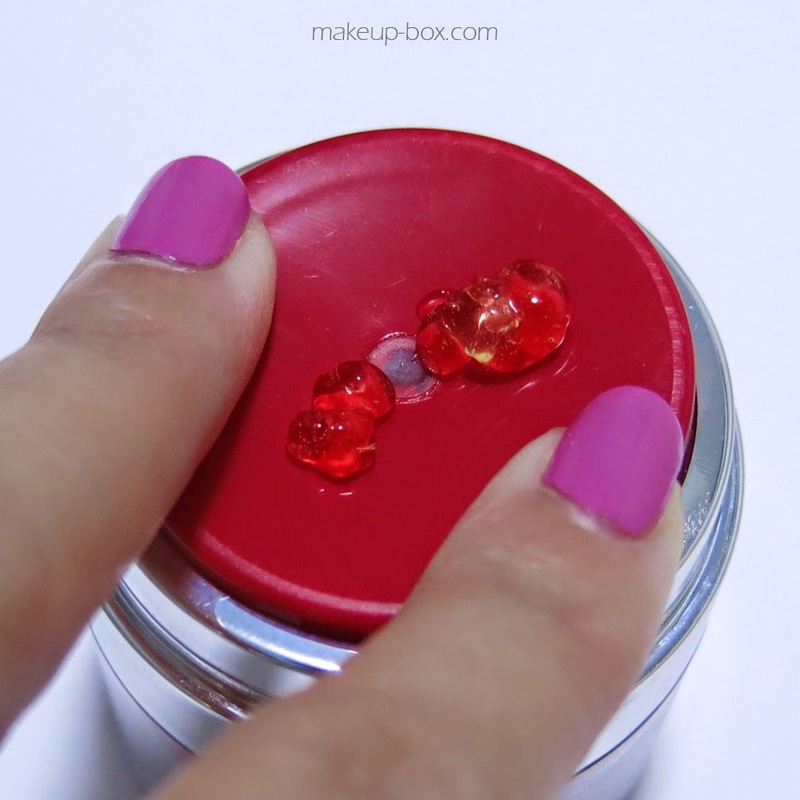 The most interesting thing is this comes in a fresh jelly form that melts into the skin and does a strange water-to-oil transformation, becoming silkier and richer as you rub it in. If you have dry or mature skin, this does a fantastic job of conditioning the skin and plumping it up. The smart time-formula also releases the astaxanthin and ceramides slowly over a few hours, so the effects last for several hours. 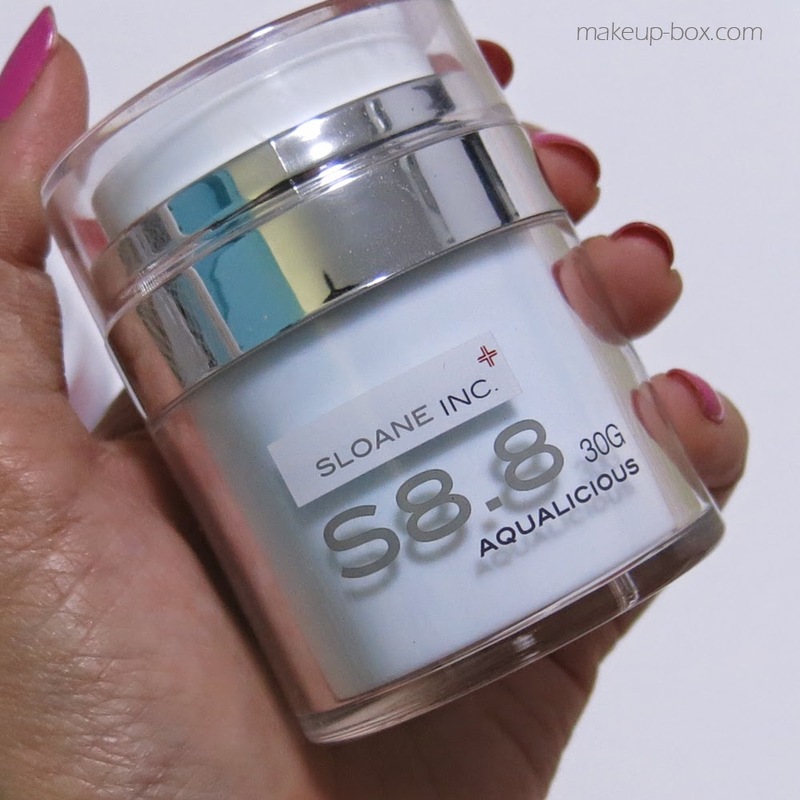 S8.8 Aqualicious is a simpler formula which is great for oily and combination skins. If you've got blemishes or use a lot of anti-blemish products and exfoliants to try and keep your pores in control, you will be no stranger to the "Dry outside, Oily inside" feeling, which can be the most annoying and paradoxical feeling ever. You barely keep your breakouts in check, and the surface is often tight and flaky, so makeup doesn't sit all that well. If you experience that, then you probably need something that is fresh but that can pack a lot of punch in terms of oil-free hydration. 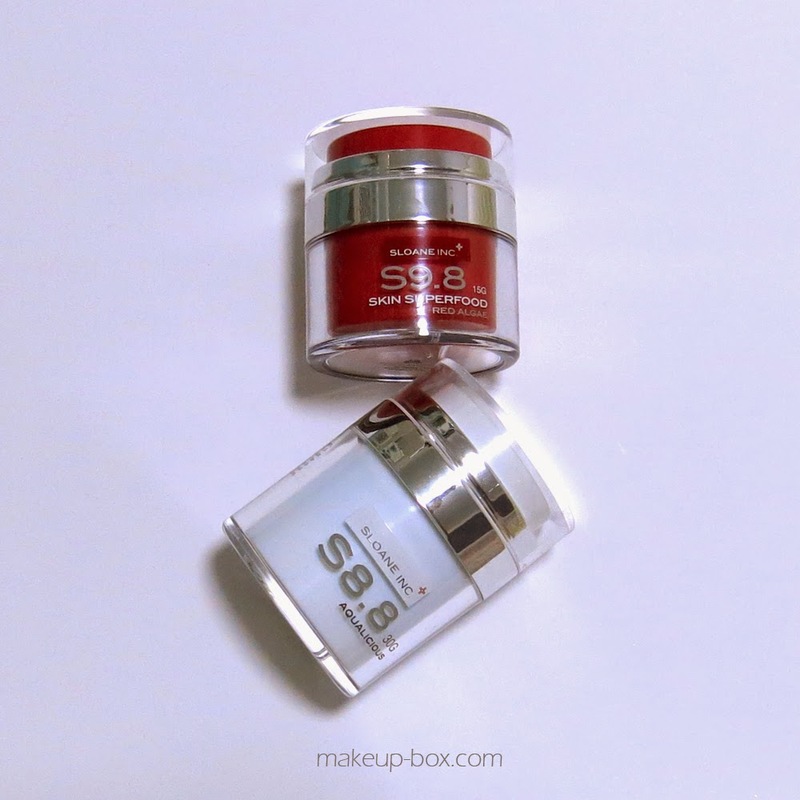 As you can probably tell from the name S8.8 Aqualicious, this product is designed to deliver a burst of hydration to the skin with encapsulated water in a light gel form. There isn't a whole lot of magic to this product. It's literally a lot of water mixed with a little alcohol to help it penetrate quickly, and a lot of silicones to lock it in on the surface. Now I'm personally not against silicones in skincare. It's gotten a bit of a bad-rep, same as mineral oil. But it's really not a bad thing, especially for skins that can't handle oils. But then again, Aqualicious is effective and delivering quick moisture to the skin, at least compared to other gel formulas I've tried before. It actually managed to make my dry skin feel hydrated for a couple of hours. But for a longer-lasting effect, it isn't fantastic for dry skin, which needs a more hefty barrier protectant to lock the moisture in. For oily skins though, I have to say it's quite a nice-feeling treat that won't weight your skin down or cause more breakouts (unless for some reason you are sensitive to silicones).